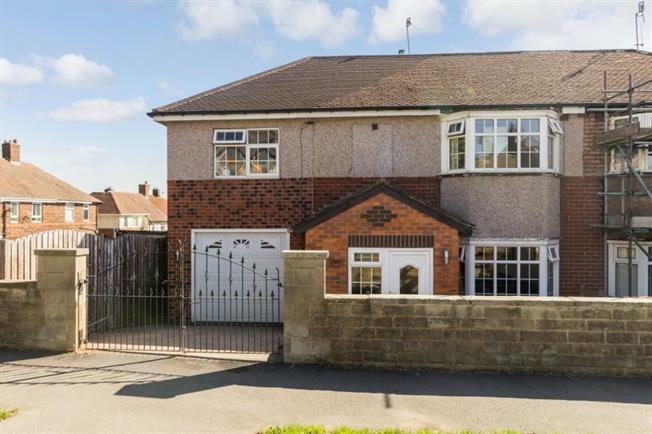 4 Bedroom Semi Detached House For Sale in Sheffield for £280,000. A fantastic opportunity has arisen to acquire this four bedroomed extended semi detached family home, located in this highly sought after and convenient suburb. Offering spacious accommodation over two levels with the benefit of double glazing, GCH, gated block paved driveway, integral garage, rear garden with patio and views across the Loxley Valley to the rear. Ideally located for the full range of superb amenities including local shops and supermarkets, schooling, public transport links, access to surrounding countryside in the Loxley Valley and Bradfield Dale with further amenities in nearby Hillsborough including shopping centre, bus station and Supertram terminus with access to the city, principal hospitals and universities. The accommodation comprises an entrance Porch opening to the entrance hallway with staircase rising to the first floor landing. The spacious Lounge has wood effect flooring, bay window to the front and patio doors to the rear opening to the patio and gardens. The kitchen has a range of base and wall units in white in a shaker style with contrasting work surfacing, tiled splash backs, wood effect flooring and an open plan aspect into the dining room, with wood effect flooring and French doors opening to the patio and garden. On the first floor the Master bedroom is carpeted with a bay window to the front and a range of fitted wardrobes providing storage. The ensuite shower room has modern suite in white comprising WC, wash basin with storage unit and shower with contemporary tiled splash backs. Bedroom two has wood effect flooring and fitted wardrobe with rear window offering lovely views. Bedroom three has wood effect flooring and window to the front and bedroom four offers flexible accommodation as further bedroom, guest bedroom, study or nursery. The family bathroom has three piece suite comprising modern WC and sink unit with storage, shower P bath with screen and shower over, fully tiled with mosaic border and rear window. To the exterior of the property is a block paved drive and garden, the integral garage provides further storage and off road parking. To the rear is a garden area with raised patio providing an outdoor seating and entertaining area and lawn. An early viewing is absolute must in this much sought after location to appreciate the size and standard of accommodation on offer.